Well Happy Easter everyone. Hope the long weekend’s treating you all well and you got the time to get in a bottle or two of Chenin Blanc. I managed to get in three of the bottles either side of getting completely soaked during the first cricket match of the season. You’ve got to love the start of the British summer! I started off earlier this week with the Rachel’s from Majestic Wine when my folks popped into town for my birthday. It was only Tuesday night so I hadn’t actually thought about what to eat it with. 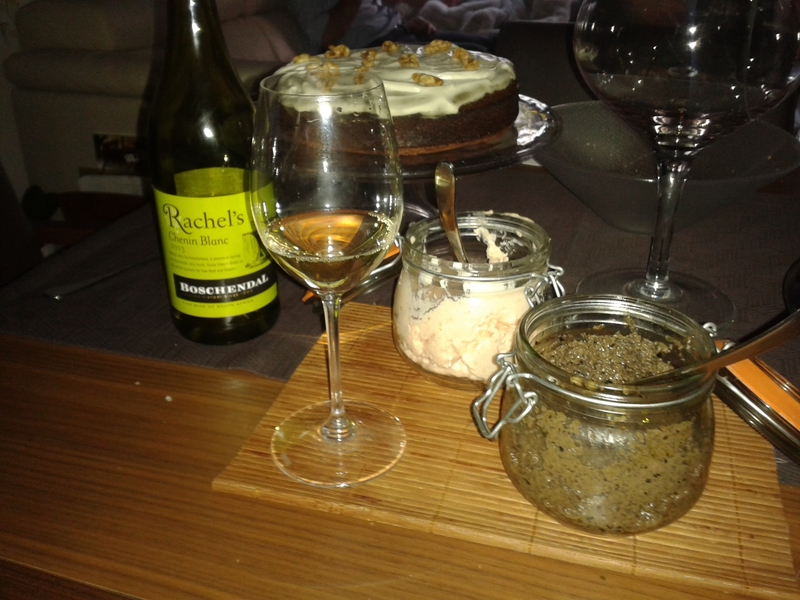 We had some homemade salmon pate and tapenade in the fridge so thought sod it, we’ll have a try. Mango, honey, apricot, and nectarine flavours, verging on slightly off dry which gave the impression of slightly less acidity. It’s medium bodied, ah maybe a touch more, and quite a nice creamy, almost nutty finish. It didn’t go great with the pate though. A definite food pairing fail! The wine gets a good 6/10. After realizing that I’d have to step the food pairing game up I got a bit of help from Zinfandel Steen on twitter who pointed me in the direction of a broccoli and goat’s cheese tart. Normally I’m a full on carnivore at the weekends but given this tart recipe I found was laced with half a pint of double cream I thought that’s a fair substitute! The real winner of the week was the broccoli and goats’ cheese tart. Really, really easy to do and loads of variations on the internet to have a look through. As expected it was the richness of the tart that made it a great match for what were fairly full on wines in terms of body and flavour. Maybe this vegetarian thing might be worth a try every now and again! 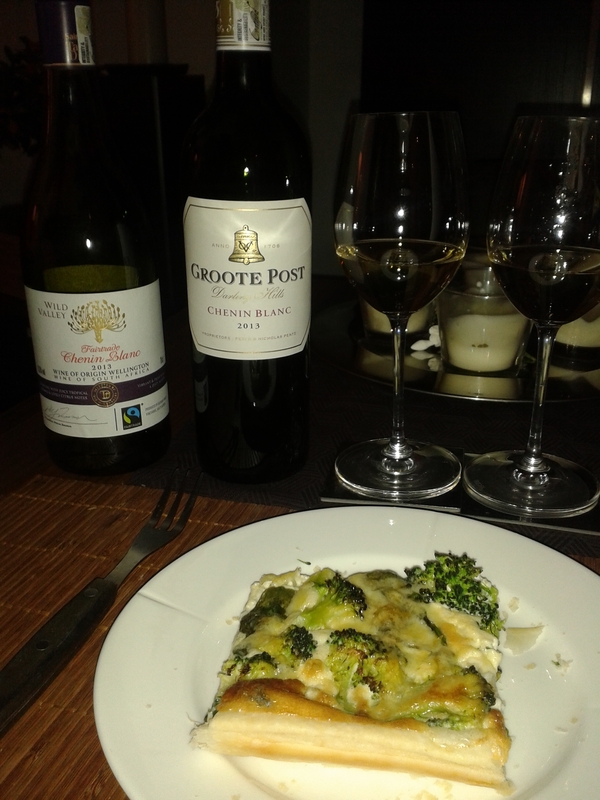 #NWTW Week 15: What’s South African Chenin Blanc Going To Taste Like?